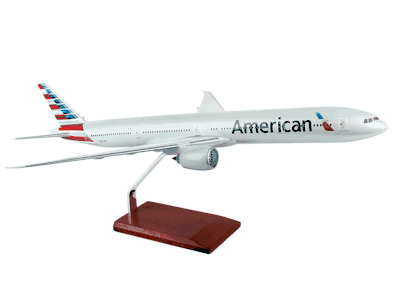 Boeing 777 Model Planes – This beauty of a model plane is of the American Airlines Boeing 777-300. The B 777 is a wide-body twin jet aircraft capable of flying up to 7,930, and it is the newest addition to the American Airlines fleet. The real plane costs over $320 million, and it can hold up to 300 passengers. Using new aerodynamics this aircraft is able to reduce fuel burn by 1.4% using the most powerful jet engines today, the GE90-115B turbo fan. The American B 777-300 model is crafted from pressure cast composite resin, and is a striking aviation gift with its impressive two foot wingspan. This authentic, extraordinary replica of the original aircraft has been faithfully reproduced using exact blueprint specifications. 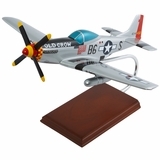 Each model is meticulously hand painted giving the aircraft a deep, rich finish. 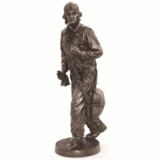 The result is a museum quality sculpture to be admired and is a magnificent collectible. The model is fully assembled and arrives with a display base. Detail is fantastic all the way around. Thank you!